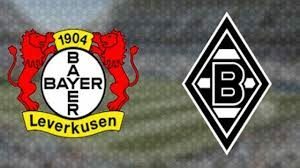 Bayer Leverkusen welcomes Borussia M’gladbach in a fixture from the 18th round of the German Bundesliga. Let’s have a look at these two teams and how they are doing so far in the league. Right now Leverkusen are 9th in the Bundesliga with 24 points won and a record of 7 wins, 3 draws and 7 defeats. This is a club which usually fights for a Top 4 finish, but this season the Aspirins are a little bit inconsistent. In their last five games they won three times, which is good, but also made one draw and suffered one defeat. Leverkusen’s last game was against Hertha BSC at home. Heiko Herrlich’s team enjoyed a 3-1 win, thanks to goals from Kevin Volland and a brace from Kai Havertz. Jordan Torunarigha scored for Hertha, but his goal was far from enough for the Old Lady. For Leverkusen it was a second consecutive win in the league after the one against Schalke 04 at the Veltins Arena. Meanwhile Borussia M’gladbach are doing much better, currently being 3rd in the league standings with 33 points. Their record at the moment shows 10 wins, 3 draws and 4 defeats. In their last five matches M’gladbach are inconsistent, though – two wins, two losses and one draw. Borussia M’gladbach suffered a defeat in their last game, losing with 1-2 at Signal Iduna Park against the current leader Borussia Dortmund. Christoph Kramer’s goal in the match was not enough, because Jadon Sancho and Marco Reus scored for Dortmund. Clearly this season Borussia M’gladbach are fighting for a Top 4 finish and a qualification for the Champions League. Right now they are being very solid and it won’t be surprise if they achieve their goal. They’d deserve it. That’s what we observed about the Bundesliga clash between Bayer Leverkusen and Borussia M’gladbach.